This historic, fully renovated forest rangers farmhouse is situated in the real wilderness by river Pakanajoki. 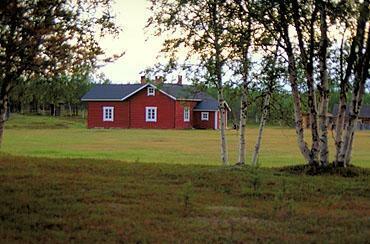 The cabin is on the south side of the wilderness area of Vätsäri and 14 km from Näätämö. 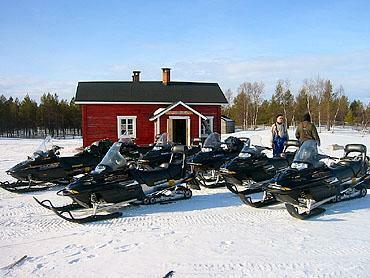 Around the cabin of Pakanajoki are excellent ice-fishing places and summer fishing lakes. Living room with 3 convertible beds, kitchen with a convertible bed, a room with 2 convertible beds. Fireplace for heating in both rooms, iron stove, gas stove with oven, a little cellar under the kitchen floor. During summer time, possibility for extra accommodation in the loft (with mattresses for six persons). Sauna in separate building. Hot smoking owen. Rowing boat on the shore of lake Vuontisjävi. Drinking water in summer from the river Pakanajoki (40m), in winter from lake Vuontisjärvi (1 km). Water is not examined yearly so boiling the drinking water before use is recommended. WILDERNESS CABIN: Facilities in wilderness cabins are often more modest than in holiday cottages. Cabin is not preheated before customers arrival. Cabin should be cleaned by the customer during the holiday and after that. Due to long distances maintenance doesnt check the cabin after all customers. If the cabin is not cleaned or there are deficiencies, please contact the caretaker immediately on arrival by calling. Please, remember to bring your own bed linen and towels (can not be rented). 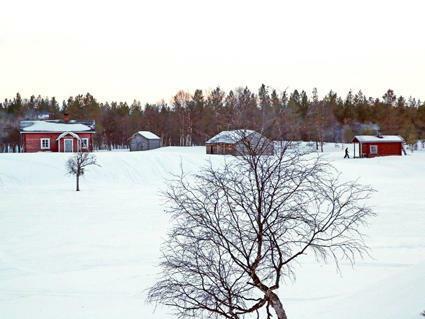 Cabin can not be reached by car, car parking during both summer and winter time in Näätämö, 14 km. Flight services also available. Read more www.lentopalvelut.fi. Please, notice that you will need a license for snowscooter to drive to the cabin. Additional information from Ivalo Customer Service of Metsähallitus tel. +358 206 39 7701 or Siida Nature Centre in Inari tel. +358 206 39 7740.